The Centre for Peace, Security and Armed Violence Prevention [CPS-AVIP] participated at the Executive Education Course on the implementation of the Arms Trade Treaty organised by the Geneva Centre for Security Policy [GCSP] and hosted by the African Centre for Peace and Security Training (ACPST) in Addis Abba/Ethiopia from 9th to 13th November 2015. 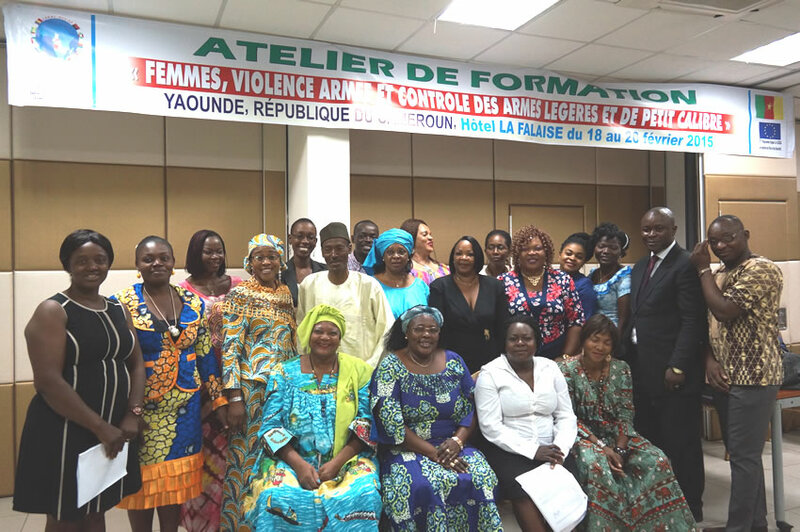 Yaoundé, the Cameroonian capital hosted the delegation of the CPS-AVIP led by its Director of Programmes, Nounou Booto Meeti for a training of trainers workshop on "Women, Violence and SALW", organised by the Secretariat of the Economic Community of Central African States [ECCAS] and the Republic of Cameroon with the support to ECCAS on peace and security (PAPS II) and the Centre for Peace, Security and Armed Violence Preventing [CPS-AVIP]. Depuis quelques années, la CEEAC réalise certaines activités relatives à la Réforme du Secteur de sécurité sans une vision stratégique en la matière. The Centre for Peace, Security and Armed Violence Prevention [CPS-AVIP] participated at the second pilot professional training course on the implementation of the Arms Trade Treaty [ATT] organized by the ATT Network, launched by GCSP and the Geneva Forum.